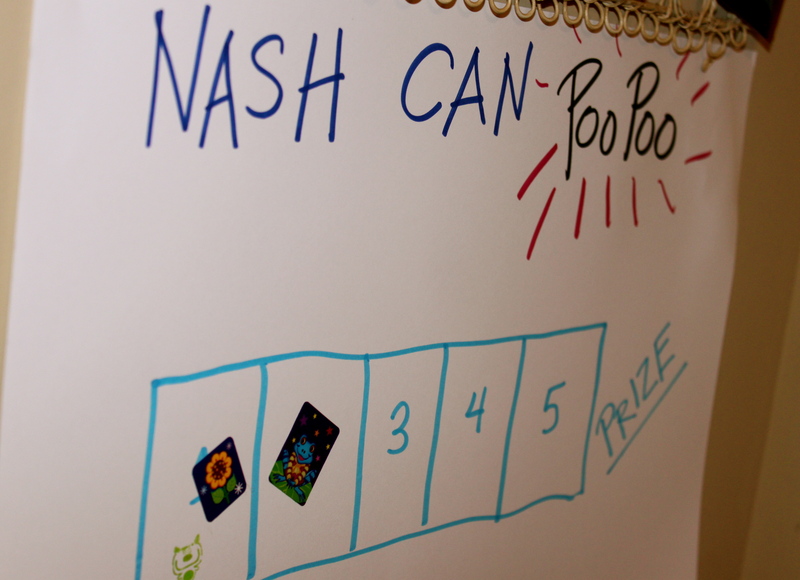 We have been on the front lines of Potty Boot Camp this past week (hence the lack of blog posting). It’s a serious war zone around here. Bombs dropping and sprays spraying. Who knew I was capable of saying the words “pee pee” and “poo poo” a MILLION times a day and working them into every conversation possible with my 3 year old (and any one else willing to talk to me about it). This is exhausting! I understand now why they call it “training” because it certainly doesn’t happen right away! But I find comfort in knowing we are not the first to venture through this mine field. Many have “gone” before us and eventually we WILL reign victorious. All week I have been processing the reality of the kind of mom I want to be (or think I should be) vs. the kind of mom I actually am. You know the feeling…when you do something you said you would NEVER do when you had kids. For instance, I was sure I was going to be one of those “potty train in a day” kind of moms (which by the way I am quite sure those moms all lie and don’t really exist! Or at least I tell myself that to bring me comfort when I’m covered in pee or rinsing out Thomas the Train undies…again.) And I’m pretty sure I swore I would NEVER EVER use bribery or treats to convince MY child to use the potty. Oh, but I have (and it’s actually working! Gasp.) But, take heart readers and know that we have turned a corner and with each day comes little victories and triumphs! We are making progress and though Nash often tells me with sad little eyes, “I just can’t mama…it’s broken!” he really CAN and in fact, he is getting quite good at it. So sound the trumpets! Triumph is near and this every-day-average-mama has again been humbled by this amazing adventure called PARENTING! Don’t worry . . . even if you were one of the potty-train-in-a-day kind of moms with your first one (which I was), you likely won’t be that with your second, and you definitely won’t be that with your third! *thought #3 would never, ever, ever pee on the toilet. God bless you as you train well and love even better!